UPDATE: After the race, three penalties were handed out that had a significant effect on the final result. The #9 GRAFF Norma, which finished second overall, was handed a 35-second time penalty for not reducing its speed to 80kph under an FCY. This means the #9 was demoted to fifth. GRAFF’s sister #39 Norma, that crossed the line fourth, was also handed a 35-second penalty for the same infraction and therefore dropped to sixth. And the #51 Spirit of Race Ferrari was handed a 35-second penalty for a pit stop infraction, and dropped to 23rd. With those penalties applied, behind the winning Lanan Norma, and the #3 DKR Norma that finished second, the #2 Nielsen Racing Norma of Colin Noble and Tony Wells was promoted to third. 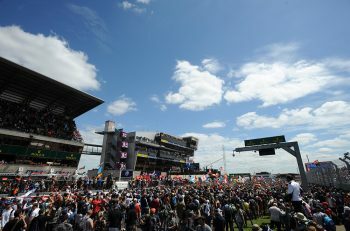 The opening race of the 2019 Michelin Le Mans Cup season had everything. It was packed with incidents, fast times, battles for key positions and an abundance of penalties handed out to around half the field before the chequered flag fell. Duncan Tappy and Mike Benham in Lanan Racing’s #25 Norma M30 emerged as the winners, the duo keeping out of trouble after inheriting the lead late in the two-hour race (when the #3 DKR Norma was penalised). The victory gives the British team the best possible start to the season, and vaults them into an early championship lead. Second in the race, was the eventually the #9 GRAFF Norma. The car was in contention throughout and led the race in the second half, before Tappy made a bold move up the inside past Eric Trouillet into Signes corner for second place. That move was made moments before the leader at the time – Laurents Horr in the #3 DKR Engineering Norma – was handed a penalty for overtaking beyond track limits with just under 20 minutes to go. Trouillet later crossed the line under a huge amount of pressure though, from the #39 sister GRAFF Norma of Nicolas Schatz and the #3 DKR Norma of recovering driver Horr. The three cars battled hard at the end of the race, with Horr making a somewhat erratic move on the final lap to get past Schatz and take third at Virage du Camp. Horr finished third behind Trouillet, with Schatz forced to settle for fourth. Fifth on the road at the end was the #2 Nielsen Racing Norma of Tony Wells and Colin Noble. The car gradually climbed the order during the race and was in contention for a podium once the mid-race safety cars had bunched up the field. But Noble was unable to pounce, lost pace and dropped back behind the #39 GRAFF M30 after the final FCY in the closing minutes. Noble (who revealed to DSC that he was nursing a major handling issue after hitting a tyre carcass on the Mistral Straight – unsighted as he slipstreamed a car ahead ) crossed the line fifth ahead of the Racing Experience Norma that took sixth on the team’s Le Mans Cup debut. The Ligier teams here barely had a look in, this was Norma’s day, M30s taking up all of the top eight positions. “It had everything, safety cars, full course yellows, there was never a dull moment. We just had to keep it all together to win this one,” said victorious driver Tappy. The final battle for the podium places does little to tell the story of this one though, as there were so many incidents that there’s barely enough web space on DSC to discuss them all. The headlines here were the two safety cars towards the halfway mark of the race. The first was for John Schauerman losing control of the #4 Cool Racing Ligier at the final corner, which sent him flying backwards into the inside armco hard. The second occurred shortly after the race restarted, for contact between the #5 DKR Norma and #12 Eurointernational Ligier of JM Littman (also at the final corner) which left the #12 stranded in the run-off. These two incidents bunched up the field, caused some teams to gamble on strategy, and others to make mistakes that would result in penalties. And penalties were handed out left, right and centre to cars for all sorts of infractions, including a huge list of 12 cars that had to head to the pits for two-minute stop-gos for passing through a red light in pit lane. This really shook up the order in the second half of the race, particularly in GT3. A final FCY was also forced by the RLR Msport Ligier of Tom Olsen hitting the barriers at the exit of Signes hard. 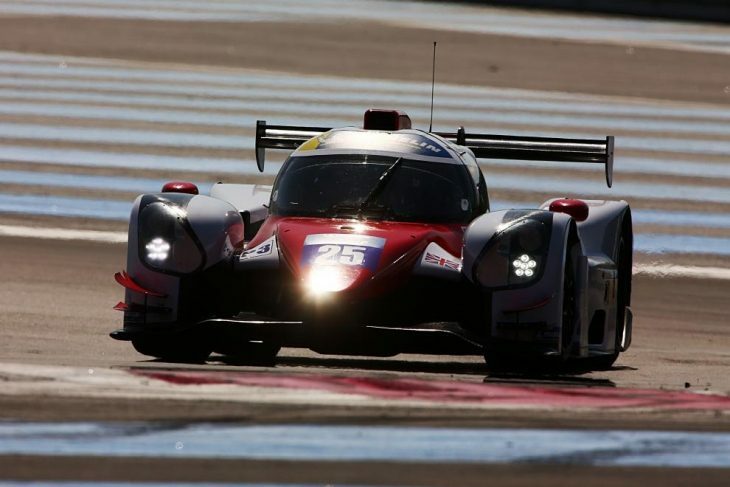 It put an end to the team’s race, which early on looked positive when Christian Olsen, Tom’s son, was climbing the order during his stint into sixth, leading the Ligier charge. The GT3 battle meanwhile, wasn’t decided until late on, and even looked in doubt despite the eventual winners holding a huge lead. The #8 Kessel Racing Ferrari 488 of Sergio Pianezzola and Giacomo Piccini won. 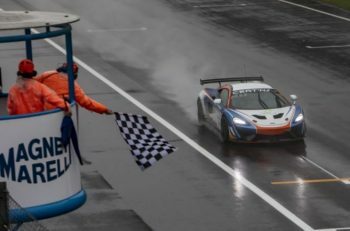 The car, which started second, was handed a huge lead in the second half of the race as the pole-sitting Luzich Racing Ferrari was one of the cars handed a two-minute penalty for running the red light. But that didn’t fully decide the outcome though, as the reigning champions in the #8 were handed a penalty for a drive time infringement in the final minutes. Luckily, the duo’s lead was so huge that even after serving it, they still had a lead of over a minute. “It’s a dream race for us. The beginning was tough, but after a few laps the car was more balanced, we did a very good job. This is a fantastic way to start the season, let’s party tonight, it’s a magical day for us!” Sergio Pianezzola said after the race. The #54 SPS Automotive Mercedes crossed the line second, seemingly out of nowhere, benefitting from the penalties and various dramas in the class, ahead of the Luzich car which salvaged third. Two cars had late dramas which affected the result, the #51 Spirit of Race Ferrari, which suffered a puncture and eventually fell to seventh and the #7 Scuderia Villorba Corse Mercedes which lost a wheel in the closing laps and retired from fifth. The Krypton Mercedes also looked set for a strong result but was involved in a collision early in the race with the BHK Ligier which damaged its front-end terminally. That meant that in the end, the #83 SVC Lamborghini finished fourth and the #99 Beechdean AMR Aston Martin Vantage took fifth.